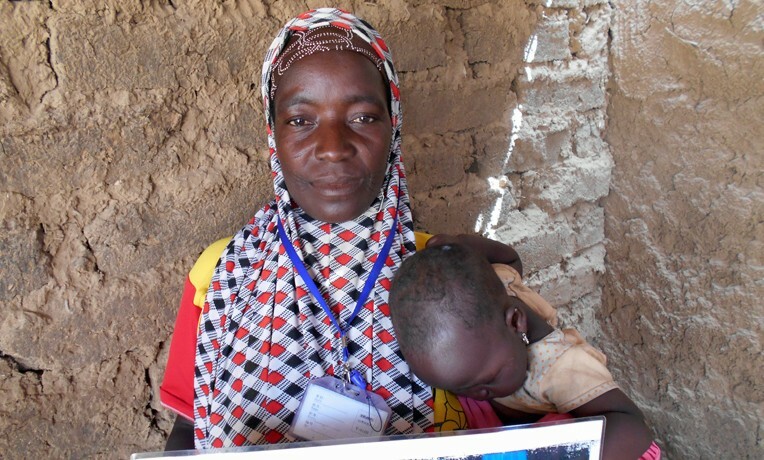 Saratou Halilou is a married mother of four. She’s one of the 37 leader mothers attending the Samaritan’s Purse training sessions in her village. Editor’s Note: Samaritan’s Purse is working in Niger to educate women in caring for their children. These women then train others in their villages. Not only are women learning important lessons on health, hygiene, and children’s nutrition, but they’re also hearing the Gospel. Before the arrival of Samaritan’s Purse, we were beginners in using impregnated mosquito nets. We only used the nets in the rainy season, and we didn’t keep them in good condition. We left the nets out in the sun because of a myth that a mosquito net could kill children if it was used before being exposed to the sun. These practices permitted mosquitoes to breed and increase our community’s infant mortality rate due to malaria. But when Samaritan’s Purse arrived, we attended each of the trainings, learning about health and hygiene. This has changed our point of view, and we now understand the link between infant mortality and poor usage of impregnated mosquito nets. During the various trainings we received, we identified myths and ways we were in error. Like the other leader mothers, I have committed to using the mosquito nets regularly in my own home and teaching other women to follow my example.